PlugInGuru.com has released Instant Score: Galactik - a modern sonic based sample and patch library for Omnisphere 2.2 which features vintage 1980's samples by sound design guru Arne Schulze. This library contains 200 patches, 12 Multis and over 90 SoundSources. 59 of those SoundSources were created by Arne and 32 SoundSources are from existing PlugInGuru libraries (MegaMagic Dreams and MegaMagic Pads) so that the patches don't use factory Soundsources to keep with the concept of making totally new and inspiring patches. 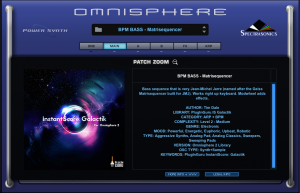 While these samples have been available many times before (programmed for various Software and Hardware synthesizer formats), this is the first time these samples have been released for Omnisphere 2. Many of these samples have interesting and unique stories behind them. "AirBees" is a pad sound created by a single bee recording that Arne layered over and over with a PPG while playing octaves until the final sound was created and looped. 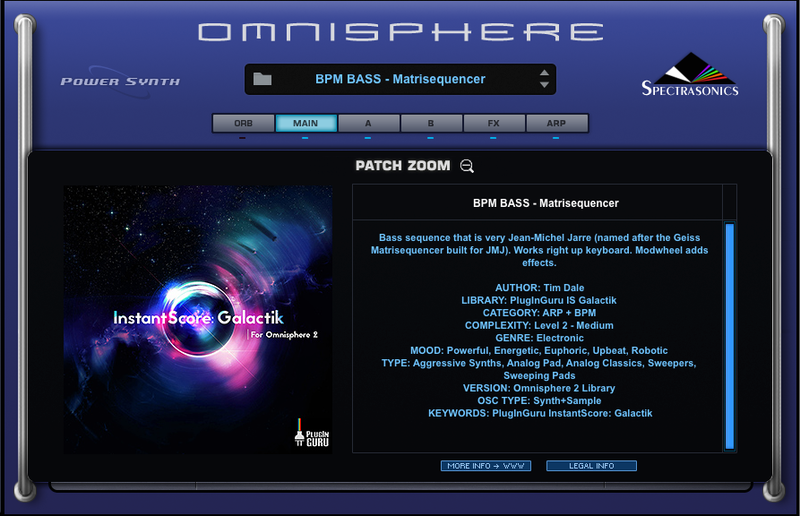 There are massive Chord samples with PPG, Synclavier and many other vintage synthesizers that give Omnisphere some 80's grit and soul to play with. Please check the PlugInGuru YouTube Channel for an interview with Arne Schulze (coming April 23). The Library is called "Instant Score" because these samples (with some clever additional programming in Omnisphere at times) make these patches that can make an instant musical score using just a single patch. Not all of them are programmed this way, but the "CHORD" patches are designed to totally take over your tracks (in a good way). 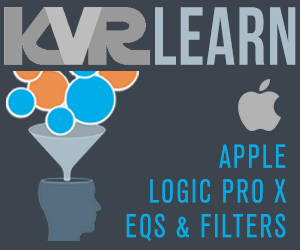 To make this library have even more value, Executive Producer John Lehmkuhl had his own "voicing team" create over 100 of the patches that are in the library. These "voicing team" members (Airwave, ExoSun, Kid Anthem, Jason Schoepfer and Tim Dale) each have other libraries they have created and released for PlugInGuru.com. Each of these programmers brought interesting ideas to the library that wouldn't have existed if only one person created all of the patches. A total of 7 different programmers contributed to the sonic chaos you will find in this library. There are also 12 Multis including one that includes a dubstep Kick, Snare and HiHat from PlugInGuru's OMG! Drums Volume 1 for Omnisphere. There are also Bell, Split, Beat and String Multis to work with.